If you are participating in the Starbucks Rewards program and you are Spotify Premium curious, they are running a new promotion between June 5-14 in 2018. If you sign up for a Spotify Premium 3-month trial for $0.99 per month for the duration of the three month trial, you will receive 125 Bonus Stars in Starbucks Rewards, which are worth almost any item in their stores, including the new $9.45 salads or the largest drinks with all the mix-ins of your choice. 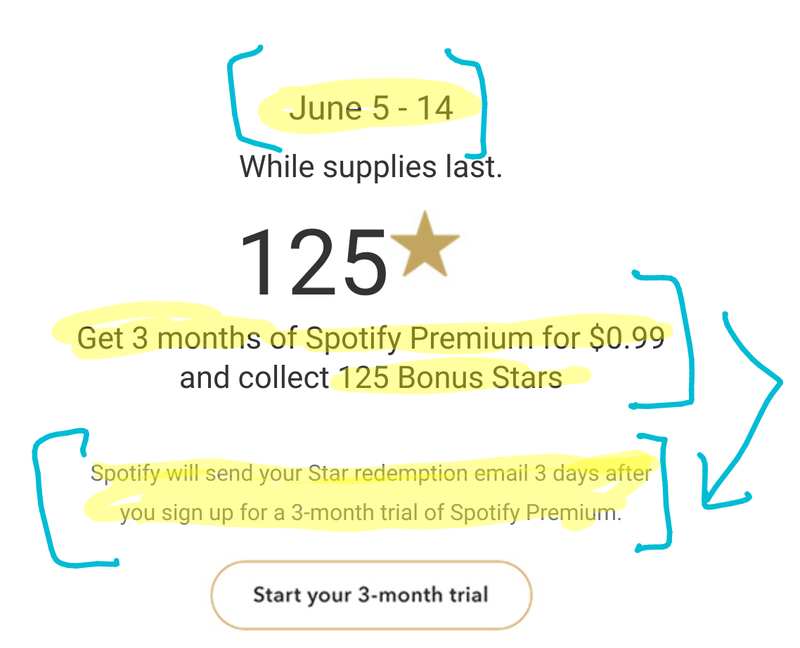 After the 3-month trial, your Spotify Premium subscription will be $15/month unless you cancel it manually.